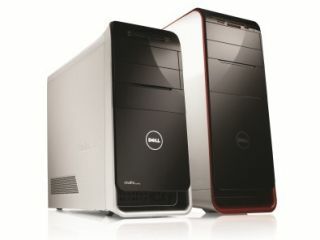 Dell has unwrapped one of its most powerful desktops yet, the Core i7 toting Studio XPS 8000 desktop. Boasting 7.1 high-definition surround sound, optional Blu-ray player/burner and 3D capabilities, it's plain to see that Dell is pitching its new PC systems for both the gaming and home cinema market. At the top end of the range, you get: a Single 1GB Nvidia GeForce GTS 240 Graphics Card, 6144MB (2x2GB) (2x1GB) 1067MHz DDR3 Dual Channel Memory and a 1TB (7200rpm) Serial ATA/100 Hard Drive. Couple this with Intel's i7 chip and you have a lot of 'raw' power, according to Dell. The Studio XPS 8000 is released now, with the price for the desktop starting from £799 (excluding monitor and with the Core 15 chip). If you want the full souped up version, then it will set you back £1,029. For more information, point your browser to www.dell.com.